I recently came across this video by Cyndi McCoy. She’s a talented musician with a big heart for healing the wounds inflicted by religion. Please understand this is not directed at people in the church, but at the institution that has marginalized people through doctrines, rules, dogmas, and exclusion. The people, including the ones inside the Church, have been the casualties of religion. cool song. I had a very difficult time understanding her lyrics, but the signs are powerful. Yeah, it was hard to understand. I guess that's why a picture is worth a thousand words :D.
That was a cool vid. She's got a great voice. The music isn't my style, but who cares – great message! 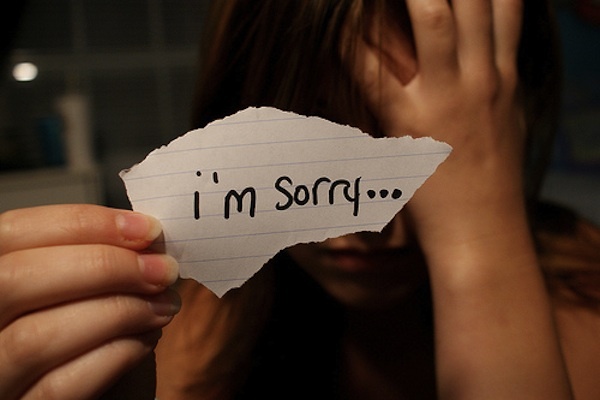 I think the thing I like most about it is owning the wrong, "I'm sorry", with the operative word being "I'm". As a former participant in the wrongs of the institution, I engaged in a season of repentance as God revealed to me how I, personally, helped produce rotten fruit. Even though it hurt to feel the weight of the past, He took me on a journey through the history of the institutional church and helped me to see that I was capable of being, doing, and saying just as anyone to whom I would point the finger. Truly, He has bound us all over to disobedience that He may have mercy on ALL. He took me on a journey through the history of the institutional church and helped me to see that I was capable of being, doing, and saying just as anyone to whom I would point the finger. This is completely my story. I didn't even realize all the offenses I had done toward others–I was completely blind to them, thinking I DID love people "unconditionally." I was so far off the mark, primarily b/c my religion taught me to fear others. which help promote your blog and we hope that your blog is being updated and placed can always be richer and more colorful. Please understand this is not directed at people in the church, but at the institution that has marginalized people through doctrines, rules, dogmas, and exclusion.